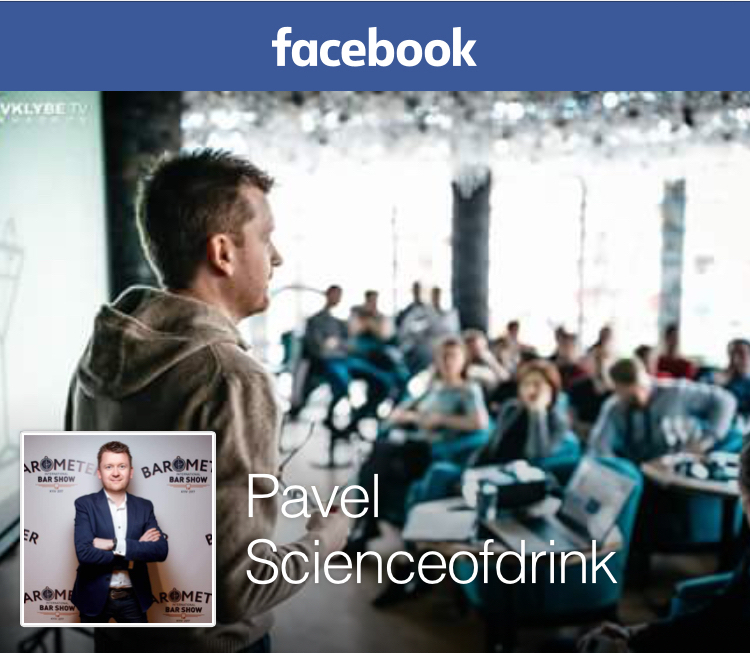 Posted on January 5, 2011 December 26, 2017 by Pavel Y. As you know the most of Russian and Ukrainian are orthodox christians. The Orthodox Christmas is celebrated January 7. Actually we don’t drink cocktail on the Christmas. 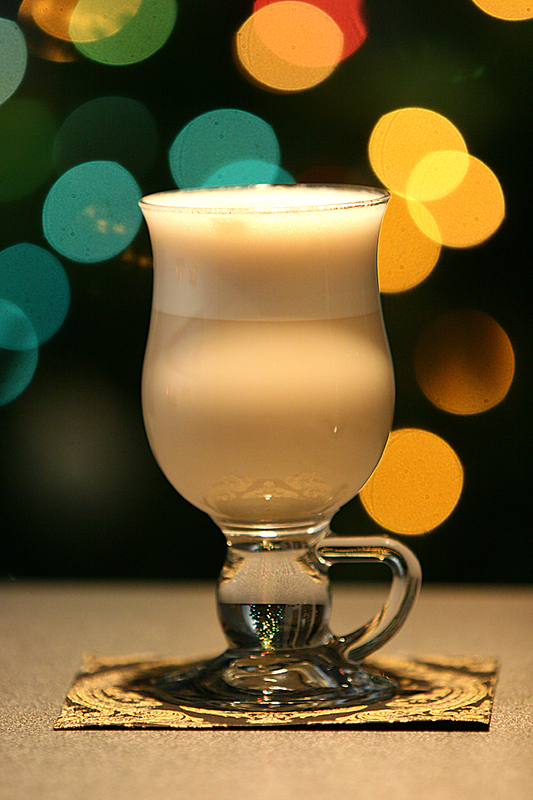 On the over hand Americans has very interesting Christmas drink – Tom and Jerry. 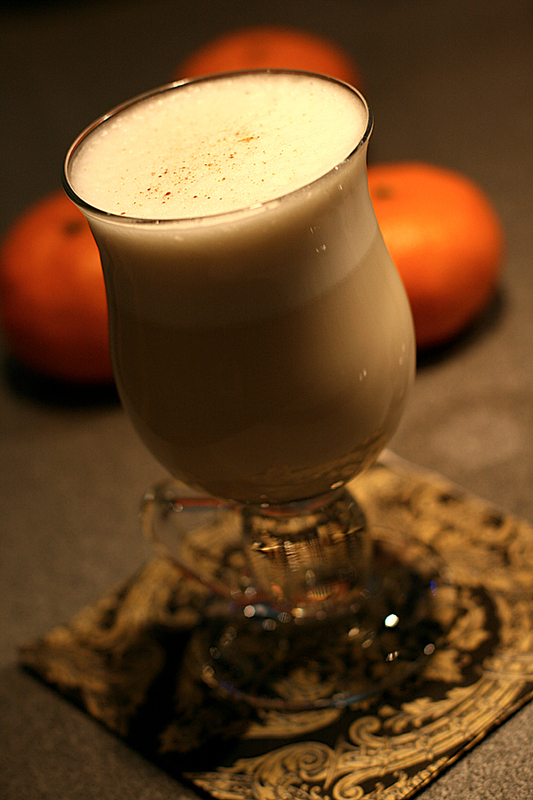 This drink is hot egg nog – the winter beverage with alcohol, eggs and milk or water. The Tom and Jerry is very old drink. The recipe we may found in the first cocktail book – How to Mix Drinks, or Bon-Vivants Companion by Jerry “Professor” Thomas (1862). Some people say that Tom and Jerry was invented by Thomas. He specified in his book that this concoction has another name – Jerry Thomas. In one interview Thomas says that he named the drink in honor of two his mouses – Tom and, of course, Jerry. But we have and alternate story. It is currently reported that Tom and Jerry drink was invented by London sport writer Pierce Egan in the 1820s. The name is a reference to two character from his book Life in London – Jerry Hawthorn and Corinthian Tom. The famous Harry Craddock wrote that “… The Tom and Jerry and the Blue Blazer … were the greatest cold weather beverages of that era”. And I completely agree with this opinion. The some points of this recipe is very interesting. First – the sugar. Five pounds of sugar or 190 grams per one eggs. It seems very, very, very sweet. Second point is spice. I hate ground spice, thus I try to use spiced rum instead. Separate the eggs. Mix yolks with rum and beat until it are thin as liquid. Beat the whites until stiff froth. Then mix all together and add sugar. Mix well. Stir well. Serve in the ceramic cup or London dock glass. Garnish by grating a little nutmeg on top. I use kitchen handheld electric mixer for execution. 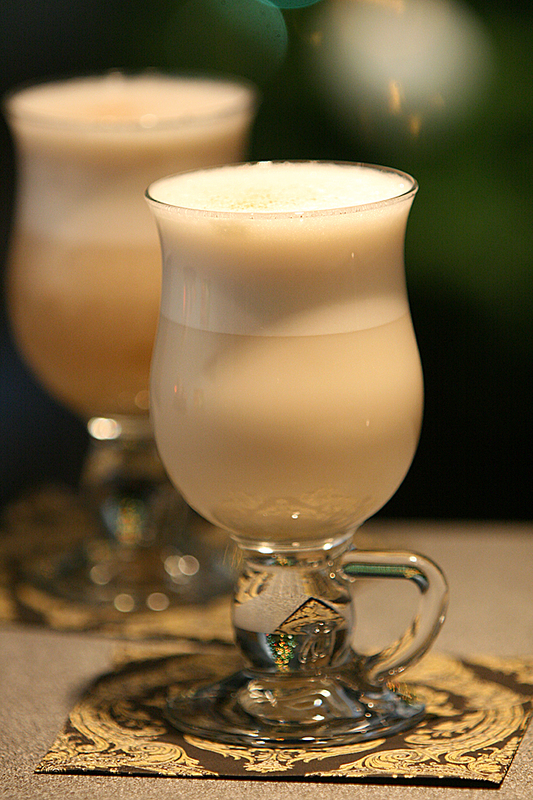 I whip the white of the eggs in stiff froth and add beaten yolks with rum, then add sugar. I use mix of the refined sugar and demerara brown sugar. Actually Tom and Jerry drink with water is no good as with milk. The Tom and Jerry drink is very delicious sweet holiday drink. Marry Christmas! The 5 pounds of sugar seems absurd as later recipes use about a pound per dozen eggs (or about 90 grams). If you read Jerry Thomas closely, you’re supposed to stop once the batter thickens — not necessarily add it all. It’s either a poorly worded recipe or a rather sweet one. Big thanks for comment, Frederic. Actually I use 75 g sugar per one egg and I obtain light batter consistence. Looks like you are right. Классный коктейль, делал как-то раз его упрощённую версию, но уже по прописи видно, что это было совсем не то. Теперь явно надо устраивать какое-нибудь семейное празднество и сооружать этот интереснейший ногг. Всегда был уверен, что белок надо взбивать сразу вместе с сахаром – и взбивается проще и держится пена лучше. Паш, несколько поздно, но все же. Поздравляю тебя с Новым годом и Рождеством! Счастье тебе и твоей семье, чтобы твой бар никогда не иссякал, а бутылки только множились. Вдохновения и творческих успехов!!! Спасибо, Саш. И тебе всего наилучшего – почаще пиши, почаще радуй. Шикарный коктейль :) Сделал 10 таких на день рождения подруги. все согрелись. всем понравилось :) Спасибо вам. Извините может за глупые вопросы о технологии приготовления Том и Джери. У вас основа указана на два коктейля? После того как сделана основа вливаем в неё 20ml бренди 40ml рома и 2ст.ложки горькой основы(ангостура?) и после этого доливаем горячим молоком перемешивая. Правильно я вас понял? нет, совсем неправильно. сначала делаем основу, как указано, потом берем 2 ст. ложки основы и добавляем бренди и ром и доливаем. Никакой “горькой основы”, а тем более биттера Ангостуры тут нет… Читайте внимательно пост и дачи! Привет, Паш, жутко рад тебя видеть! Как дела? Выяснилось что нового? Previous PostPrevious Happy New Year, 2011. Two champagne cocktails for New Year night.